Ever since the Guitar Hero and Rock Band phase fell apart about 5 years ago, music games have been somewhat scarce. Rocksmith 2014 is probably the best music game going currently, but what if you just want to play for fun and not devote a ton of time into learning an instrument? The new Guitar Hero and Rock Band that were released a year or two ago haven’t been very successful which is where this DropMix review comes in. 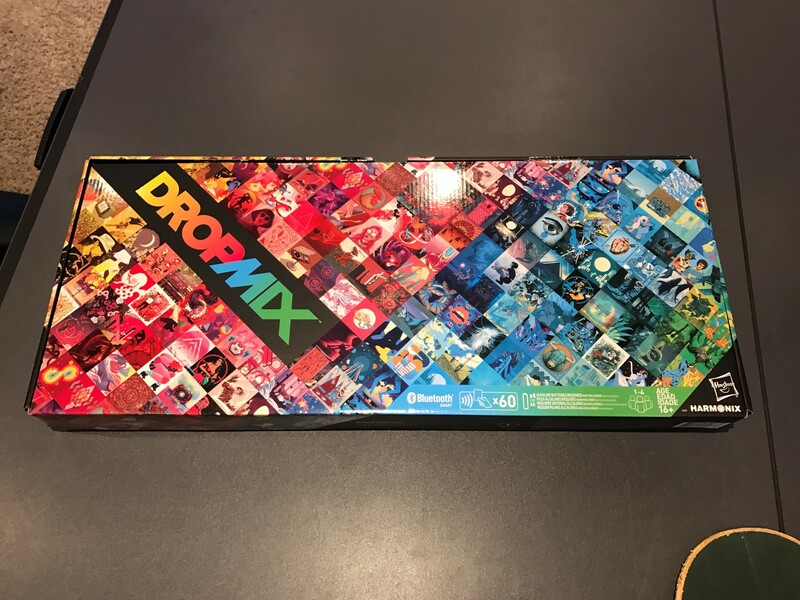 DropMix is made by the same company that worked on a lot of your music games, Harmonix. 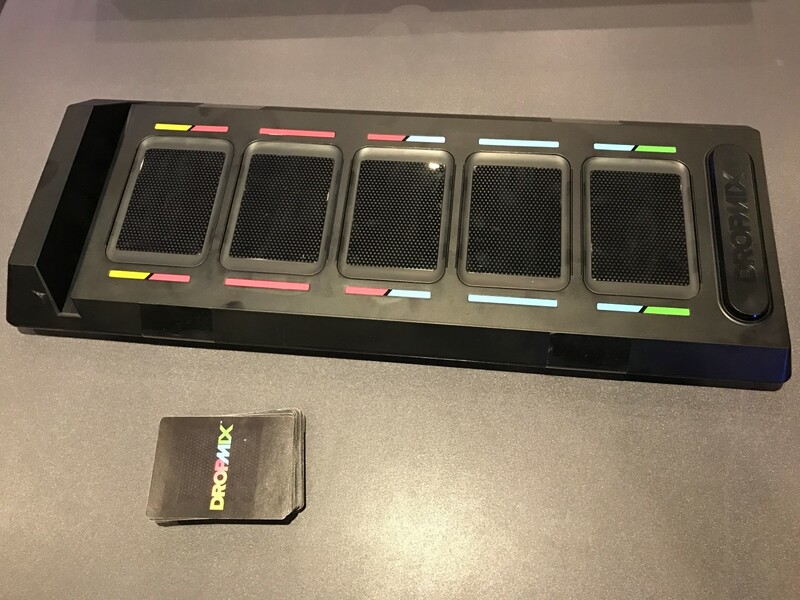 Instead of being on a console, DropMix is an interactive Bluetooth game that syncs up with your phone or ipad. Instead of buying DLC, you buy decks of expansion cards that add more songs to play with. Once it’s all setup, you’re ready to play. My favorite mode so far is the score challenge, it’s fun to see if you and some friends can score the highest. In the time I’ve played it, I’ve noticed that every time I play it I score slightly higher. The slots that have two colors mean that you can put either color card in the slot. Looking at the slots above, you can see that you’ll be playing a lot more pink and blue cards than the other colors. In addition to the colors, each card has a volume level and an instrument associated with it. During a round, the app will ask you to put down a certain instrument, color, or volume level and then it’s your job to find that card in your hand and play it in the time allotted. It’s a little confusing the first time you play but after that it gets a lot easier. Clash is the first mode of the game. It’s basically a 2 to 4 player VS game where you take turns placing cards on the board. After playing this a couple times it wasn’t immediately clear to me why sometimes you got more points than others. When you play a card, you get a point. If that card is a white card, it sometimes has extra attributes with it that can cause points to be added or taken away, depending on what other things are going on. The game doesn’t do a great job of animating why exactly you’re getting extra points or losing points unfortunately, you basically just have to keep playing until you figure it out. This is my favorite mode of the game. Basically you partner with 1 to 5 people in order to create the highest score. It then becomes kind of a coordination between you and your partners to figure who’s going to play and what. At first it was kind of difficult but after a few games it became a lot easier. At first you’re going to make a lot of mistakes for -1000 points as you put cards that are too low in volume over others or play the wrong color cards. That all goes away a few games in and the music starts to come together. When you’re playing some of the mixes that you come up with are quite entertaining. If you like the mixes you come up with, you can save them off in the game as well. Most of the time the vocals stand out more than anything else, some of the guitar and drum additions don’t feel like they do much. As a result, I think I’d rather have a lot more of the yellow vocal cards than anything else. My kids also seemed to like the vocals more than the other cards. This is just a mode where you try out different combinations of cards to see what cool remix you can come up with. I didn’t really spend much time in this mode. You can kind of do this when you first fire it up, any cards placed on the board automatically start playing. You can save off your remixes to show friends and family, some of them can be pretty cool. How much time you spend in this mode depends on how much you’re into being a DJ. I made a video showing the different modes below. Beyond the base 60 cards that come with the game, you can buy expansion sets for the game too. These sets are typically priced about $1 a card, sometimes more if you buy fewer cards and sometimes less if they’re on sale. They come in small 5 card packs and larger 16 card packs, kind of like baseball cards to a degree. It feels a little expensive but licensing isn’t cheap either so I’m guessing they couldn’t really make it much cheaper. 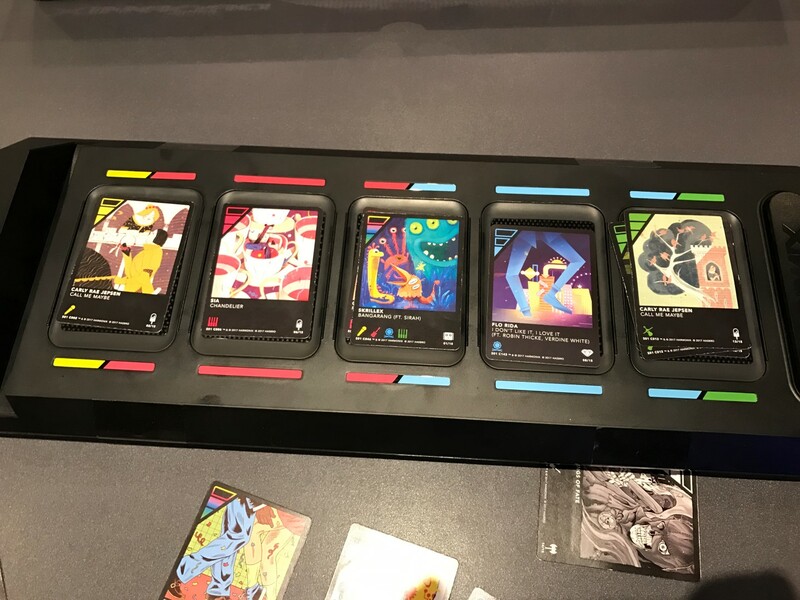 DropMix is the best music game to come out in the past few years. Finally something that’s a little different than playing plastic instruments. I’m hoping that they add more modes to the app, the current 3 modes is a little lacking for longer term appeal. I could see after the initial 4 or 5 hours you play this that it might only come out when friends come over. However, that’s kind of like all the music based games, they’re all better with friends.